Contain original brands such as Crazy Cups, Ekocups and cake boss, Green Mountain, Marley, Guy Fieri and more. some of the cups are recyclable! Try 40 different single serve cups from more than 14 brands without buying the whole boxes. Box style and size may vary from what is pictured. 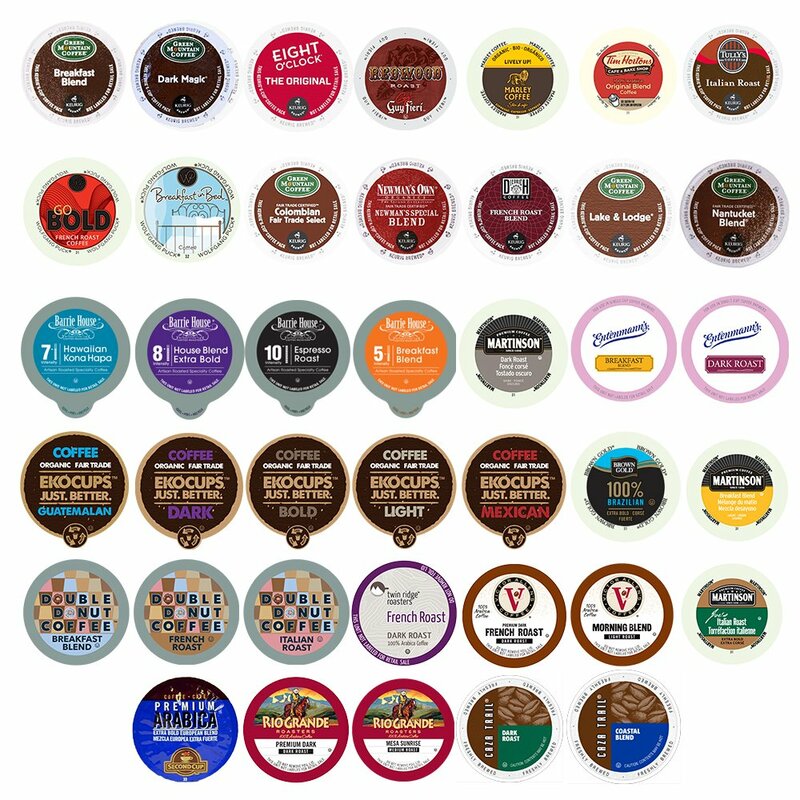 Dark,Medium, Light Roast , bold and light coffee Single Serve cups variety for K cups Keurig brewers.